Joslin Diabetes Center, located in Boston, Massachusetts, is the world’s largest diabetes research and clinical care organization. 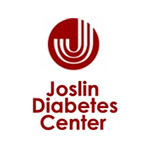 Joslin is dedicated to ensuring that people with diabetes live long, healthy lives and offers real hope and progress toward diabetes prevention and a cure. Joslin is an independent, nonprofit institution affiliated with Harvard Medical School.